Coaching is a one-on-one trusting relationship with someone who facilitates and guides an individual to achieve results in areas important to them. Coaches are described as the “secret power” by Fortune and “invaluable” by Time magazines. Businesses and corporations routinely report increased retention, productivity, sales, and customer satisfaction. Individuals who work with a coach report greater life satisfaction, higher levels of productivity, less stress, and increased levels of life satisfaction. More and more, organizations turn to coaching individuals and teams. The investment returns improved performance for the individual and higher profits and competitive edge for the company. This is what companies reported in a survey of over 4000 organizations by the International Coach Federation and Linkage, Inc. who were asked about their interest and involvement in corporate coaching. Coaching different levels within the organizational structure has been shown to be an effective approach to inspire and develop leaders. Executives and managers report decreased stress and increased levels of confidence and support. Coaching those targeted for growth in the organization is an effective method of personal and professional development. Coaching is a method that develops and retains high potential individuals. What is the Corporate Coach Program? The Corporate Coach Program was designed specifically for individuals who seek to augment their skills in the area of executive and corporate coaching and who are prepared for a compressed study program. 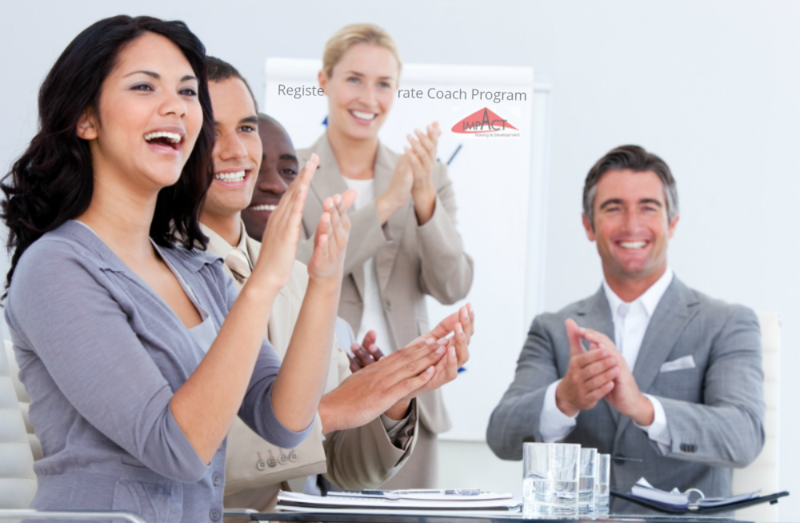 What does the Registered Corporate Coach (RCC™) Program designation mean? The Registered Corporate Coach (RCC™) Program designation is awarded by the Worldwide Association of Business Coaches (WABC) and verifies that you have met professional standards for coaching within a corporate setting. In an unregulated field, the Registered Corporate Coach (RCC™) Program sets you apart as meeting standards set by the leading professional business coaching association. What is the difference between a “registered” designation and a “certification”? A “registered” program is less time consuming than a typical “certification” program. The Registered Corporate Coach designation offers the benefits of a professional program based on life experiences. Compressed Advanced Course – Many coaching certification programs take up to two years to complete and are too rudimentary for those who have had significant training and experience. Business and Corporate Focused – Many coach training programs are overly broad or focused exclusively on personal coaching. The Registered Corporate Coach Program is designed to teach skills that are directly applicable to the business and corporate environment. Who is eligible to take the Corporate Coach Program? Will use coaching skills in a business environment. Must have at least seven years of professional or business experience. WABC is the Worldwide Association of Business Coaches, the only international professional association dedicated exclusively to the business coaching industry. It is also the only association of its kind with admission and renewal membership standards. For over six years, WABC has been representing and serving all external and internal coaches working with businesses, organizations and governments. These coaches include business coaches, corporate coaches, executive coaches, leadership coaches, organizational development coaches and many other types of coaches. To find out more about WABC go to www.wabccoaches.com.